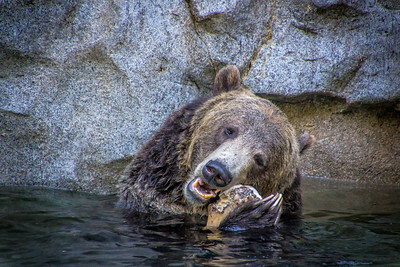 This gallery Includes photos of wildlife captured sanctuaries, Zoos, Safari parks, etc. 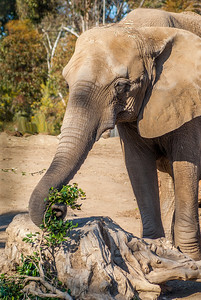 I capture this Koala Bear at the San Diego Zoo's Australian Outback Exhibit Koalas are tree-hugging marsupials with big, round ears and black oval noses. They are an iconic symbol of Australia, the only place in the world where they are found. 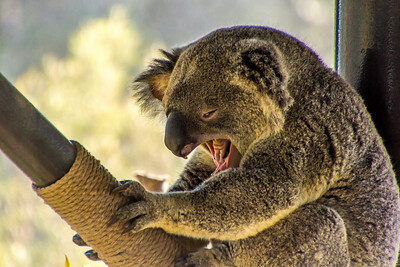 They are often called koala bears, but that is incorrect, koalas are more closely related to kangaroos and wombats. Guenon Monkey at the San Diego Zoo - The word guenon comes from the French word for monkey. 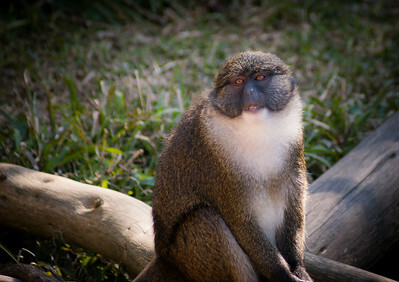 Monkeys in the guenon group are some of the most colorful, graceful, and lively in Africa. 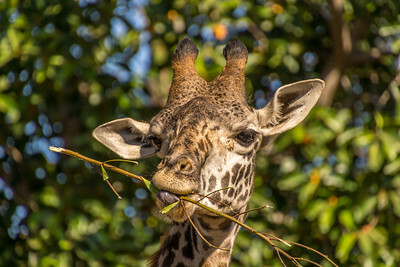 I captured this Giraffe munching on a twig at the San Diego Zoo. 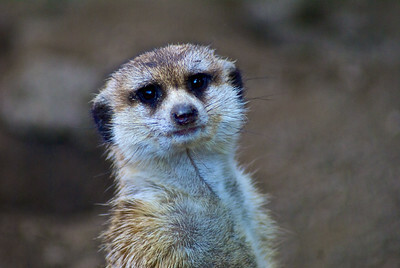 Giraffes are ruminants and have a stomach with four compartments that digests the leaves they eat. 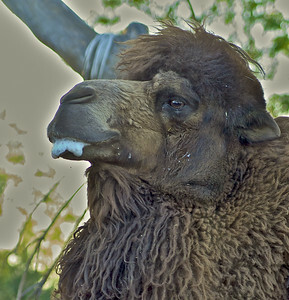 When giraffes aren't eating, they're chewing their cud. 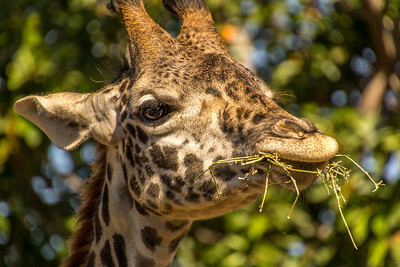 After giraffes swallow the leaves the first time, a ball of leaves travels all the way back up the throat into the mouth for more grinding. 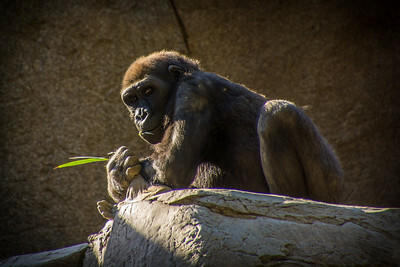 I took this photo of a mountain gorilla relaxing on a rock at the San Diego Zoo Safari park Gorilla exhibit. 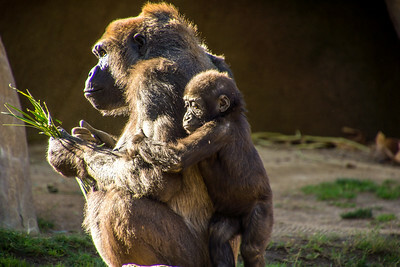 I took this photo of a Mountain Gorilla and her youngster at the San Diego Zoo Safari Park with the late afternoon sunlight illuminating them. 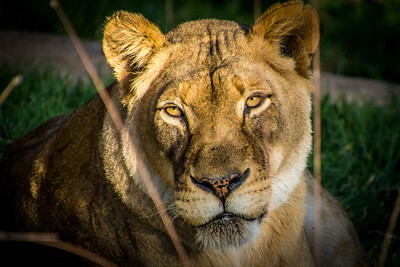 I captured this lioness taking in the late afternoon sun in at the San Diego Zoo Safari Park Lion Camp. 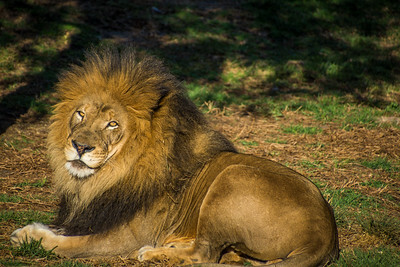 I captured this lion taking in the late afternoon sun at the San Diego Zoo Safari Park Lion Camp. 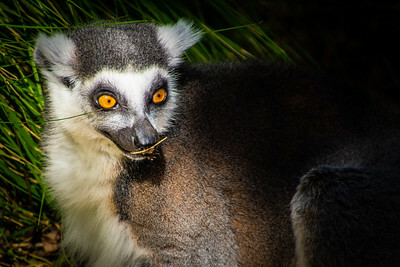 Ring-tailed lemurs are named for the 13 alternating black and white bands that adorn their tails. 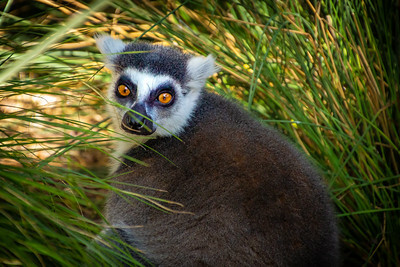 Unlike most other lemurs, ringtails spend 40 percent of their time on the ground, moving quadrupedally along the forest floor. 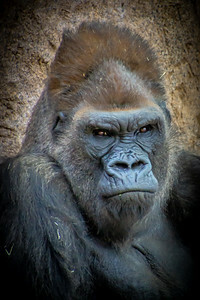 I took this close-up of Winston a Western Lowland Silverback Gorilla at the San Diego Zoo Safari Park. The western lowland gorilla is one of two subspecies of gorillas that live in montane, primary and secondary forests and lowland swamps in central Africa.